Jan beavered away inside whilst I had a first attempt at rubbing back the counter on the stern which was looking rather chipped with signs of the onset of rust. It now has had a coat of primer with the possibility of a first coat of undercoat later today. Adam left a comment on yesterday’s post about the ripple effect on the terrain suggesting “ridges and furrows”. Well I could see they were ridges and furrows but then it dawned on me that there was something special about the term. Off to Google where the images indeed pointed to “ridges and furrows” which were created as a result of a medieval ploughing technique long abandoned. This technique was usually used on the side of a hill with the ridges and furrows running up and down rather than across the face. Most of these ridges and furrows have been long lost as a result of modern ploughing techniques. Only where the ground has been left unploughed since the 15th century can they still be seen. This morning we got out the Kipor generator and recharged the batteries. This is the first time we haven’t used the engine since we disconnected from shore-power. It took the Kipor about 90 minutes to get the batteries back to ‘Float’ and I then switched on the 240v immersion heater in the calorfier. The Kipor heated the water in about 40 minutes and to a higher temperature than the engine. Unsurprisingly heating the water this way is significantly more efficient than using the engine because the latter loses heat through the skin tank. Excluding the capital cost; the generator is costing us less money to run than the engine. 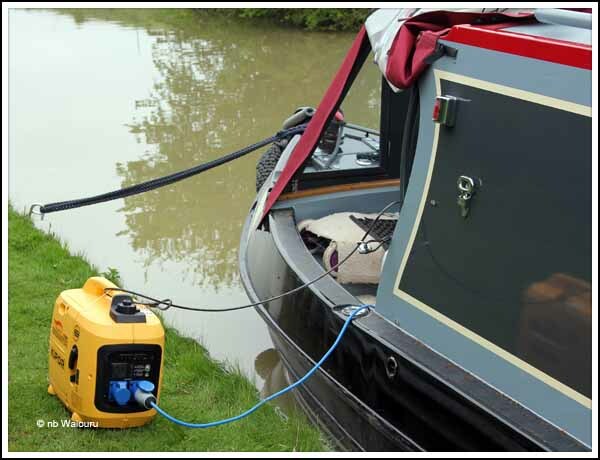 However we plan to stick to our routine of only using the generator to do a regular battery ‘conditioning’ when we aren’t cruising. The engine will be our main source of battery charging. 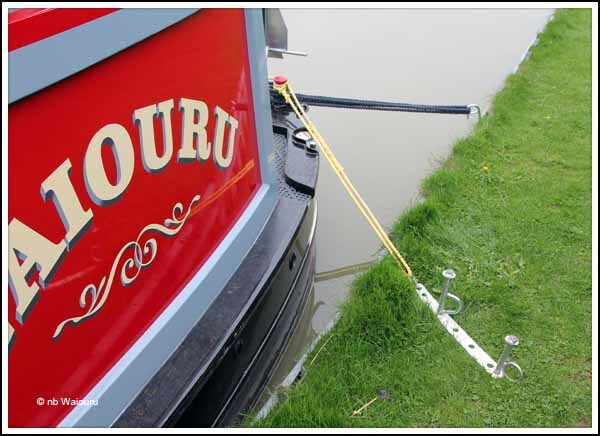 There have been numerous boats passing today which probably isn’t surprising given we’re so close to Braunston which is a major ‘hub’ on the network. The majority have slowed down but we’ve only seen one going at what we would consider to be ‘tick-over’. To minimise the movement we’ve put out a spring line on the stern and also used one of our ground anchors. As a consequence movement is now minimal. 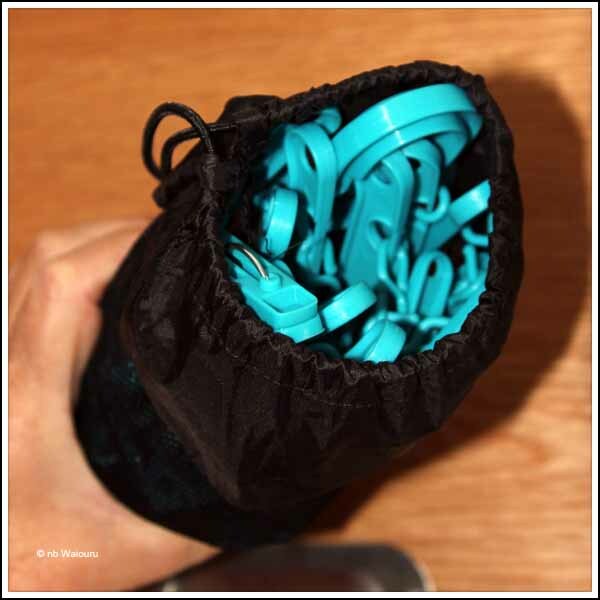 Jan had a good idea on reusing our raincoat ‘stuff bags’. We’ve stopped storing the raincoats in their bags and Jan was about to discard them when she realised they would make ideal containers for our two small folding circular clotheslines. They are now much easier to stow and the pegs no longer snag when Jan attempts to retrieve them from the wardrobe.